I'm feeling a little tired today from my most recent bout of insomnia, so I'm lacking motivation to write a captivating post. I also don't really have anything terribly exciting to talk about. Not that I talk about terribly exciting things anyway, but you catch my drift. Anyway, after finally falling asleep, I woke up at exactly 3:33 a.m. 3:33 in the afternoon is fine. My mom and I will suddenly look up and say "3:33!" for no other reason than my mom really likes that time. 3:33 in the morning is a little bit different though. 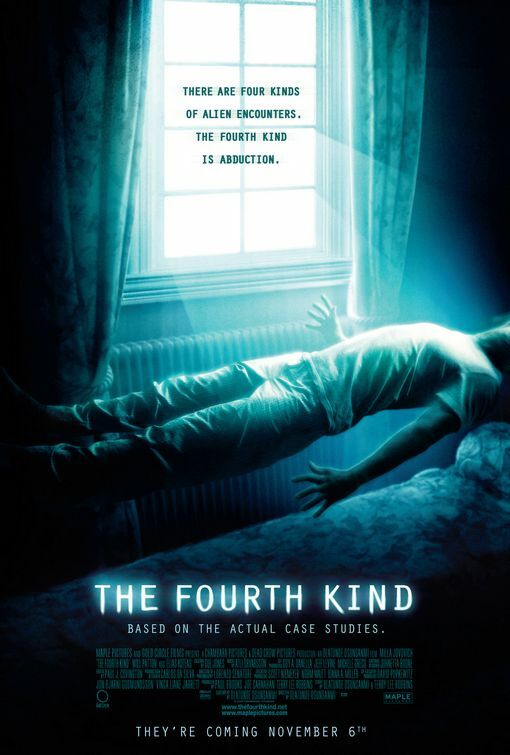 I don't know if you've watched The Fourth Kind, but I have. Now all I can think about when I wake up around that time in the morning (which is far more often than I like) is aliens. Or that creepy white owl in the movie. Or ghosts. Ghosts have nothing to do with the movie, that's just my natural progression of thought after I think of aliens. I guess you'd have to see the film to fully understand what I'm talking about, but Milla Jovovich's voice echoes through my mind whenever this 3 a.m. awakening takes place. And it scares the shite out of me. She starts off by saying it is inspired by true events. Then they do the split screen with the "original" footage and the cinematic footage. Regardless, whether I believe it's real or not, it scares me. And when I see 3:33 staring me back in the face, I'm suddenly wide awake. Until after 5a.m. Then I somehow manage to slip back into slumber for a short time before my morning alarm jump starts my ticker less than an hour later. *sigh* Someday I'll get to sleep.